It’s not even the end of January yet and already it has been the biggest year for South Asian Fashion in the UK. January 25th saw one of the largest and most anticipated events come to London – The Aashni & Co Wedding show: In association with Zouch & Lamare. I was so excited to see some of my favourite designers & the biggest names in the Indian Fashion industy showcasing their work. These included, Anamika Khanna, Tarun Tahiliani, Sabyasachi & of course the infamous Manish Malhotra. Let me get right to the point and say the show was, in a word – breathtaking. The venue was just as grandeur as the wonderfully talented businesses showcasing within it. They had pretty much everything you would need to create a unique wedding and let’s face it, that’s exactly what all brides want, a wedding to be remembered. 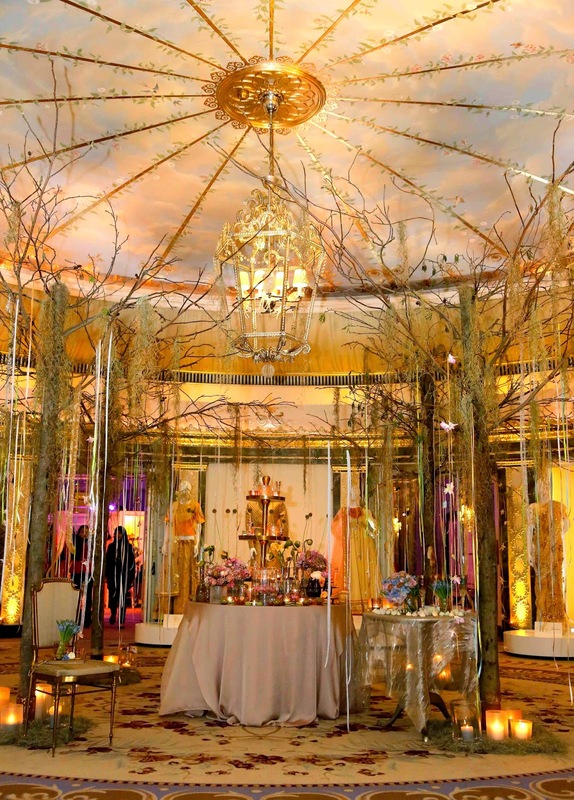 In addition to the glamourous gowns, the Dorchester’s ballroom was transformed into arcadian romance by the luxe floral stylist Zita Elze. It was evident by the awe-struck look on most people’s faces that she had hit gold her creativity in displaying wedding decor. As with most events, there was no real prominent theme (except glamour of course, but that’s a given), and all the different designers and boutiques had something different to offer. Unlike western fashion weeks, it’s never apparent what the seasonal trend is within South Asian fashion. At this event however intricate gold detail was to be found in almost all the boutiques. Lots of zari work and less of the in your face bling, which I am so glad about! If you’re interested in having a look at some of these stunning creations then you might want to take a trip to Notting Hill where Aashni & Co have their own boutique. They stock all the designers featured in the show and provide a great portal to getting your dream dress. It’s worth noting that the prices of these “designer” pieces are on par with UK prices and if you ask me, I’d rather have the original then a cheaper copy. Who are some of your favourite Indian designers?